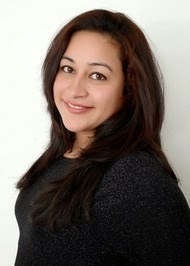 Kairavi or Kay is a journalist and being a fun loving girl, she plans on enjoying her life. But she has had rotten luck with men so far. Tired from trying to get the companionship of a suitable man who, it seems are all equally bad, she decides to take a break and go to Goa with her flatmate, Bani. But her problems are not over and after a disastrous night, she finds herself in a hospital with little to no memory of how she got there. As if this is not enough, the doctor treating her is charming, handsome and it looks like she has finally found her perfect match but the timing is all wrong! What will Kay do now? Is the handsome doctor the answer to all her prayers? Or Is he just another one of those losers she seems to be attracted to? 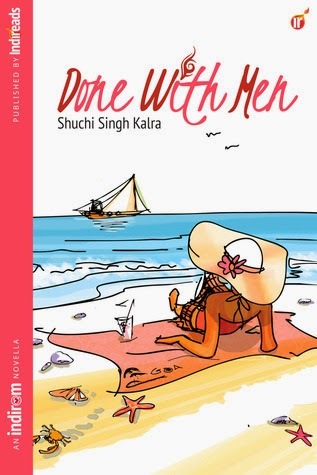 Shuchi weaves a splendid tale of fun, mischief, laughter and heartfelt enjoyment in her book, Done With Men . The cover is attractive but not very helpful to ascertain the type of story it holds. The title is promising and it was the title that first attracted me to this book. The blurb is also very captivating and piques our interest. The characterization is noteworthy and Shuchi is able to make her characters seem real and connected to the readers. Kay symbolizes the self independent, employed and driven woman of India who believes in working hard and enjoying each moment of her life. Shuchi brings out the real and sometimes the dissatisfying side of the very happy looking lives of such women who often feel alone, being away from their family and so fall for the wrong kind of companionship be it friends or boyfriends. I also totally enjoyed Dr. Vivian's character and Kay's flatmate, Baani. A funny, entertaining and super enjoyable story that will leave you fully satisfied and energized, I give Done With Men a 4.5 out of 5 and strongly recommend that you go buy, read and enjoy the book. I look forward to reading more from the author in the future.